The Clipper Race visits some of the most extraordinary and beautiful places on the planet, so it’s no surprise that the 2017-18 edition will be returning to the Whitsundays. A real crew favourite, the Whitsundays made its debut in the 2015-16 race, and will be a fitting end to the All-Australian Leg 4. “The Whitsundays was an extremely popular stopover port during our last race, for the crew, supporters, and the Clipper Race team alike,” says Sir Robin Knox-Johnston. “A truly stunning location for our crew members and partners, and a perfect place to really relax and unwind in midway through our intense race route. 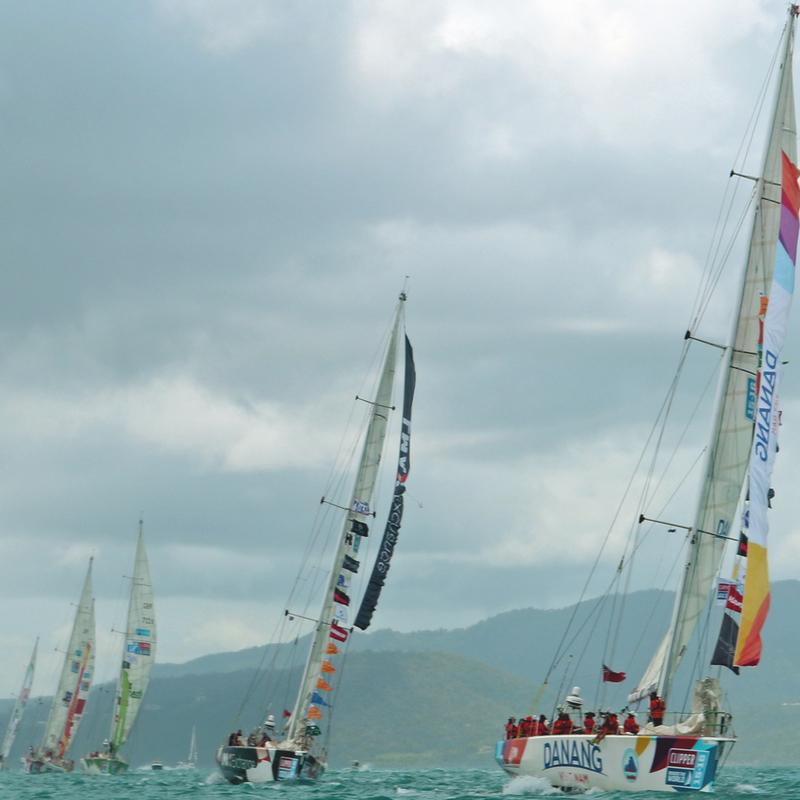 Parade of Sail in Airlie Beach during the Clipper 2015-16 Race. The Whitsundays is made up of 74 islands, located in the heart of the World Heritage Listed Great Barrier Reef. And from the Clipper Race fleet’s base at Abell Point Marina in Airlie Beach, crew and supporters will be perfectly placed to explore the Whitsunday Coast, which stretches to Bowen in the north, west through the Proserpine sugarcane fields to the rolling hills of the Hinterland. All in all, a picturesque place to prepare for the Asia Pacific Leg 5. The Clipper 2017-18 Race’s return to the Whitsundays will be organised in partnership between the Whitsunday Regional Council and Tourism and Events Queensland. Together with Abell Point Marina, they will host a Clipper Race Carnival, which is set to include a large scale welcome event, a regional rodeo and a spectacular lunch on the iconic Whitehaven Beach. The carnival is expected to attract more than 4000 visitors to the Whitsundays and generate upwards of $3 million for the Queensland economy when the fleet docks in January 2018. “The Whitsundays is a jewel in our tourism crown so for it to be confirmed as a host port for the Clipper Round the World race is another significant achievement,” says Queensland Minister for Tourism and Major Events Kate Jones. “We all know the impact of Tropical Cyclone Debbie but we also know the resilience and determination of the people and businesses in the Whitsundays. “The Whitsunday Clipper Race Carnival is an ideal way to remind the world that the region is open for business and will continue to be a premiere destination not only for sailing enthusiasts but for all visitors. 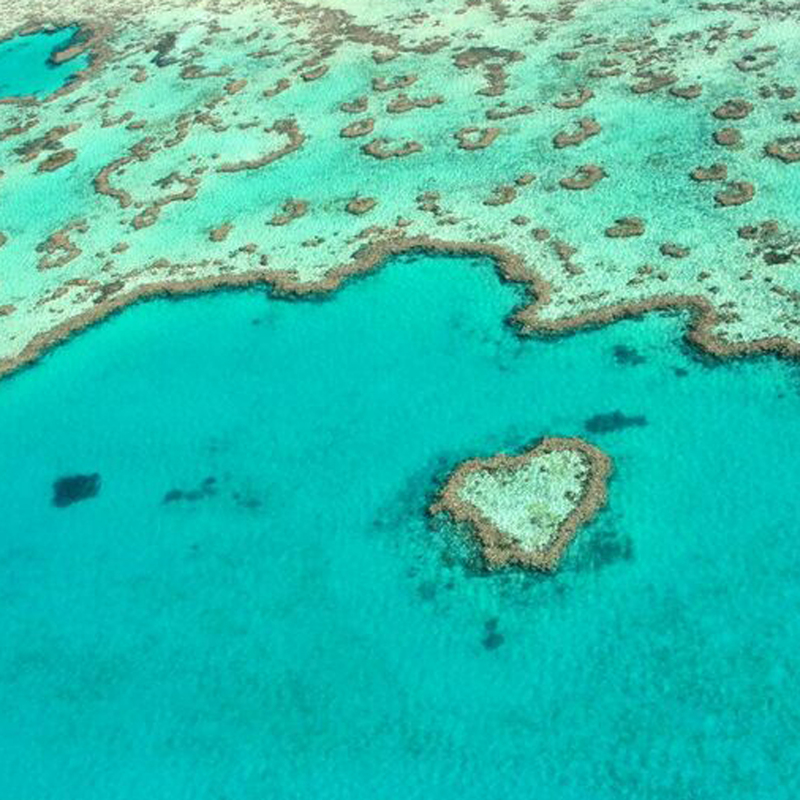 Heart Reef, a part of the World Heritage Listed Great Barrier Reef. Mayor of Whitsunday Regional Council Mayor Andrew Wilcox agrees, saying the Clipper Race Carnival will once again build community pride and highlight the diversity of experiences on offer in the region. Feel inspired? There are limited opportunities to take part in the Clipper 2017-18 Race and applications are now open for the 2019-20 edition. If you would like to race across the world’s oceans and have the adventure of a lifetime, then apply here.